The combined effects of climate change and the urban heat island effect are driving temperatures higher in cities around the world, which are experiencing extreme heat more often, including an increasing frequency and severity of heat waves. Andrew King sums up the picture for Australia as a whole: ‘Record hot days’ have more than doubled between 1960 and 2010, and ‘hot days’ (temperatures over 35 degrees) have increased by 27% over a similar period. The effects of extreme heat are intensified in cities, where the urban heat island effect drives temperatures even higher than surrounding rural and natural landscapes. A recent study led by ANU found that under 2 degrees of global warming, cities like Melbourne and Sydney would experience temperature rises closer to 4 degrees above average, and temperatures as high as 50 degrees could occur during summer heat waves. In Sydney, the increasing number of hot days has been particularly pronounced in Western Sydney. The CRC for Low Carbon Living reports that in Western Sydney, maximum summer temperatures can be up to 9 degrees hotter than the Sydney CBD. They state that “The number of days over 35 degrees in Western Sydney has increased by 250% since 1965 (compared with 22% in Central Sydney). Extreme heat has serious public health impacts. The New South Wales Office of Environment and Heritage (OEH) points out that extreme heat events have killed more Australians in the past 200 years than any other climate hazard. Elderly, ill and very young people are at higher risk of health impacts. In addition, the health impacts of extreme heat are often borne disproportionately by lower socio-economic groups. Sydney’s western suburbs are a significant example where heat impacts align with lower socio-economic groups, but in any location in any city, lower socio-economic groups face greater challenges cooling their living and working spaces, accessing comfortable transport options and accessing recreation opportunities that beat the heat. Therefore, a public response is warranted to mitigate the impacts of urban heat, particularly to help vulnerable communities cope with heat waves. One of the things that would help vulnerable communities is to provide freely accessible cool places in the public domain. 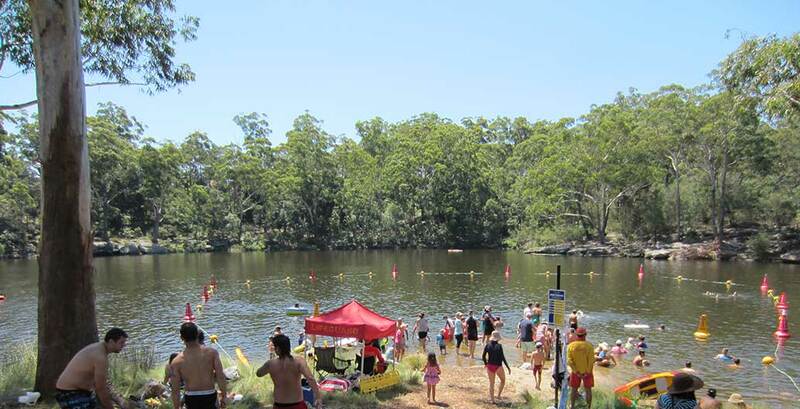 Parramatta City Council’s ‘Cool Parramatta’ website highlights cool places in the area, including free places such as libraries, water playgrounds and waterways. 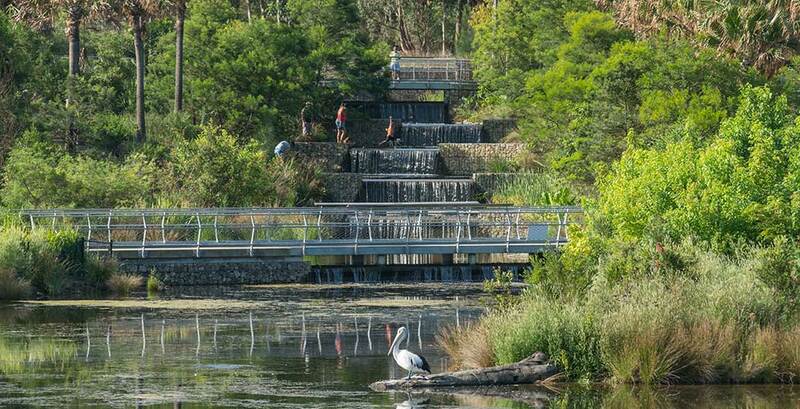 Cool places should be created throughout the public domain, which is one of the ideas driving the concept of a “green grid” of waterways, parklands and green streets. One of the challenges with this approach is that most of the advice available to designers is either very general (we know that green and blue infrastructure helps) or very technical. Microclimate research publications quickly enter complex technical territory. Cooling strategies include strategies which reduce surface temperatures (e.g. providing shade, tree canopy cover or cool pavements) and strategies which reduce local air temperatures, which rely on evaporation of water, either directly into the air or via evapotranspiration (via vegetation). Human thermal comfort is influenced by both surface and air temperatures, but also by humidity and wind speed, and often expressed in terms of an index (Universal Thermal Climate Index UTCI). Research (e.g. CRC for Low Carbon Living) shows that different cooling strategies are more effective in different climates and urban contexts. It can be tempting to leave this territory to the technical experts, however our cities are in urgent need of practical solutions, which can be applied widely and cost-effectively. Solutions are within reach. Human thermal comfort can be expressed in complex terms, but we all have an intuitive sense for it. We know that black pavements get baking hot, while grass stays cool underfoot. It’s not surprising that the rainforest gully, with its dense canopy, lush vegetation, running stream and misting spray, is the coolest place to be on a hot day at the National Botanic Gardens. In hot weather we seek out water. The research backs this up – the CRC for Low Carbon Living shows that evaporative cooling techniques bring about the biggest reductions in air temperatures, and Victorian Centre for Climate Change Adaptation Research (VCCCAR) shows that water availability is crucial for urban green infrastructure to work effectively as a heat mitigation strategy. If the most effective microclimate cooling strategies rely on water, we need to think about where this water might come from. In Australia we’ve been focused for several decades on minimising water use, so shifting this thinking is a significant challenge. In the context of past water conservation efforts, it would be inappropriate to significantly increase mains water use for heat mitigation. Alternative water supplies are one option, however local governments maintain public spaces on tight budgets, and low-cost, low maintenance solutions are needed. Essentially, we should be designing urban landscapes to capture and retain water, so that it is available for evaporation. This need not be a highly technical approach – and in fact some very simple ideas could do the heavy lifting. Maximise pervious surfaces, disconnect piped stormwater systems and allow runoff to be intercepted by vegetation and soak into soils. Retain water in open water bodies where it can evaporate directly or be reused for irrigation. 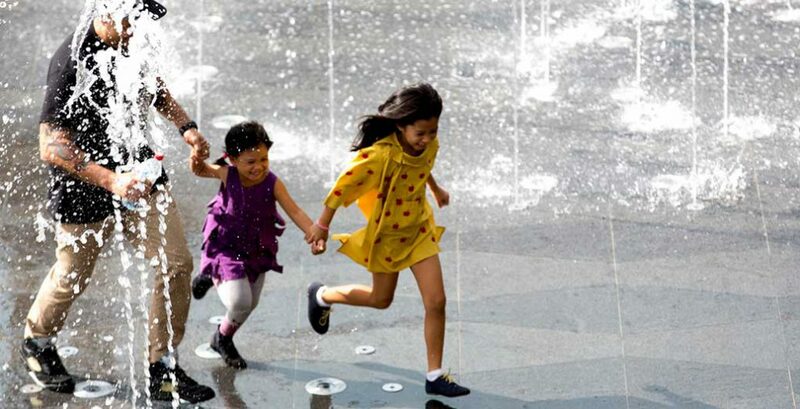 Use water as a feature that people can interact with. 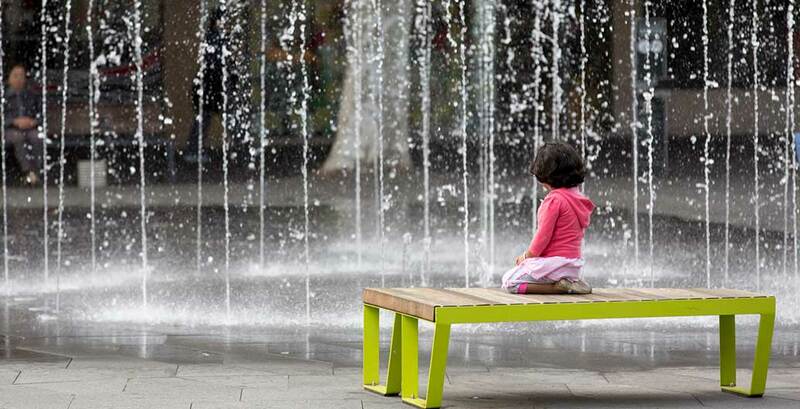 It’s the very essence of water sensitive urban design (WSUD). 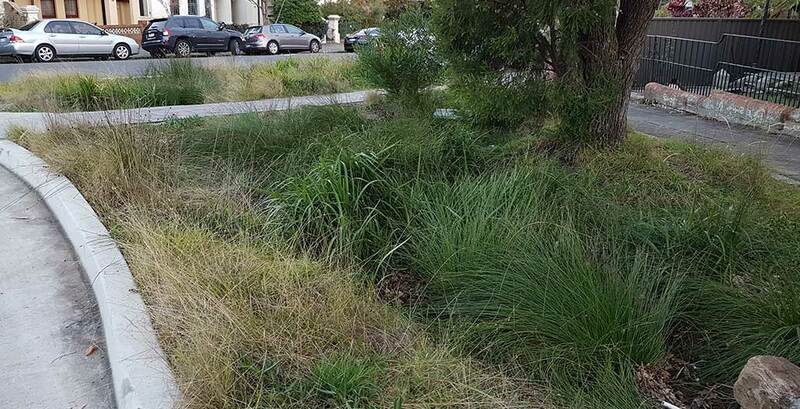 However, currently in many cases in Australia, WSUD is implemented with a relatively narrow focus on stormwater quality treatment. 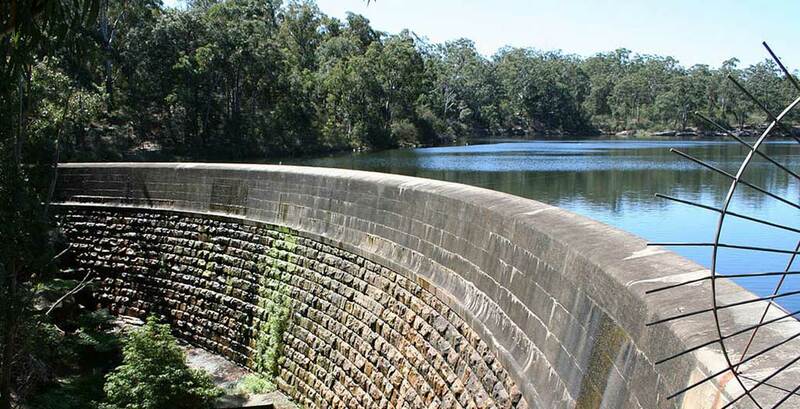 The planning controls, which set stormwater quality treatment performance targets have encouraged this narrow focus, and engineers are expert at optimising solutions to meet defined parameters. Many stormwater treatment systems, built to meet water quality targets, aren’t designed to retain water, and some don’t even include vegetation. These systems won’t help mitigate urban heat. 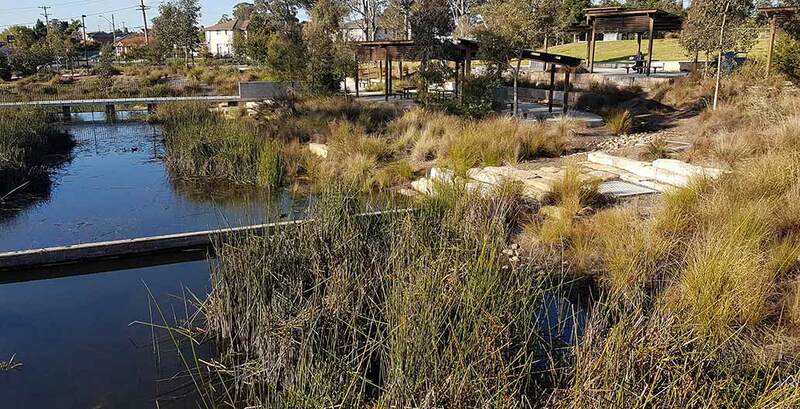 A focus on cooling in urban landscapes is a chance to redefine the practice of WSUD and restore its original intentions to encourage less runoff and more infiltration, more evapotranspiration. 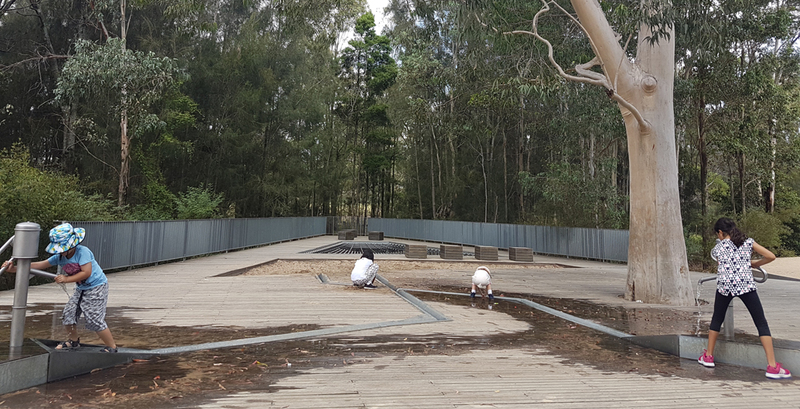 Rather than leaving heat mitigation to the technical experts, landscape architects and designers should claim a greater role in the WSUD space, as they are well placed to think about the urban public domain as an integrated system, and to employ creative strategies which can meet a broad set of objectives. We could learn from US cities which also face urban heat issues but have gone down different paths towards regulating stormwater management. For example, the Seattle Green Factor is a score-based development standard which encourages higher quality, better integrated landscape design to meet multiple goals including liveability, ecosystem services and climate change adaptation. The tool encourages landscape elements such as deep soil zones, bioretention systems, trees and other plants, green roofs and walls, water features and permeable paving. 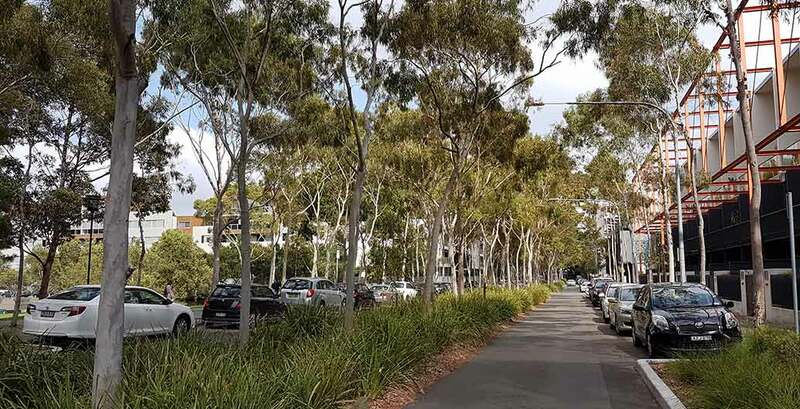 It incentivises streetscape improvements and multi-layered vegetation including trees and understorey planting. Bonus points are available for landscapes irrigated by harvested rainwater, and a simple calculation tool is provided. Alexa McAuley is an environmental engineer with 15 years’ experience in sustainable urban water management, and a strong interest in improving sustainability outcomes in cities. Alexa’s career has been focused on water sensitive urban design, and she has helped many local government clients shift WSUD from a niche practice to a mainstream activity. Alexa currently leads McGegor Coxall’s environment practice area, where she drives projects that integrate environmental engineering with landscape and urban design.